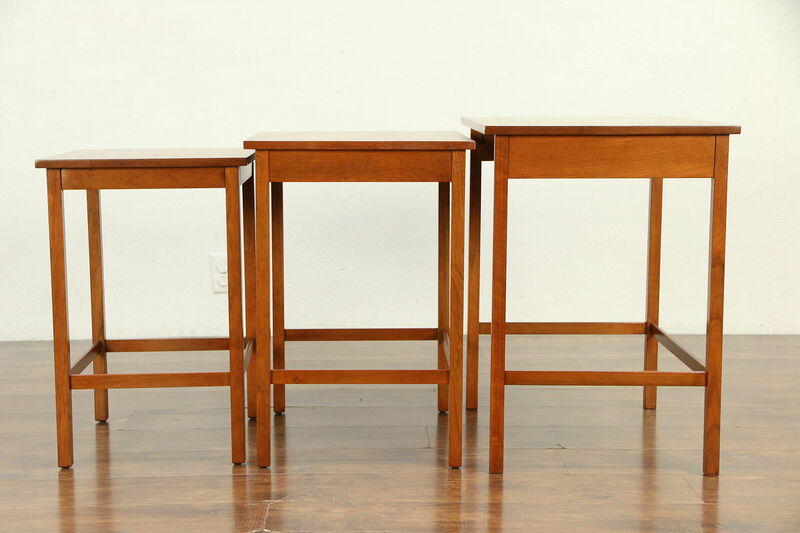 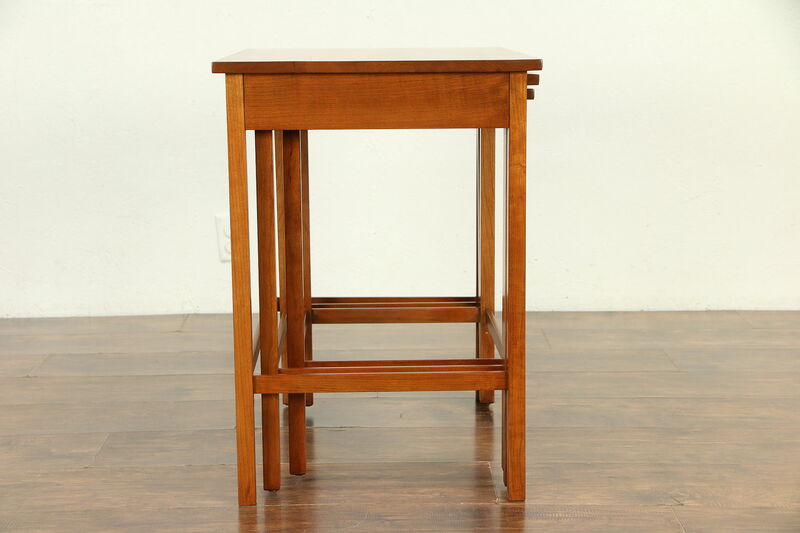 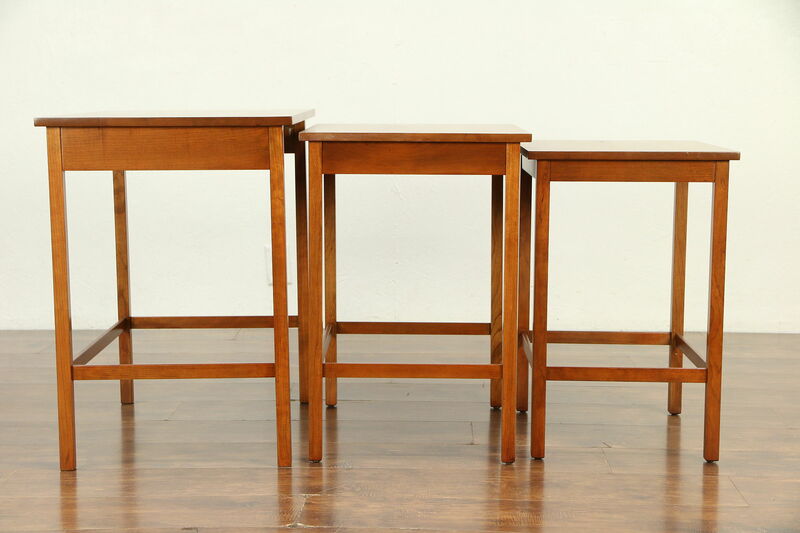 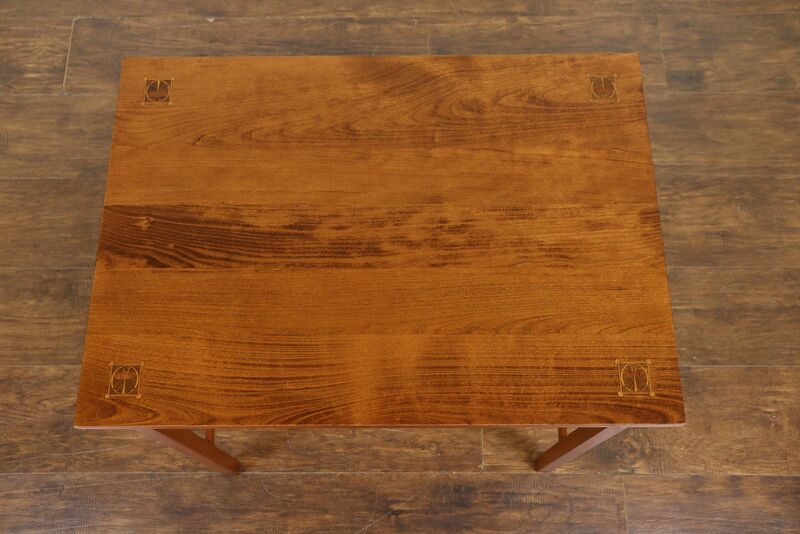 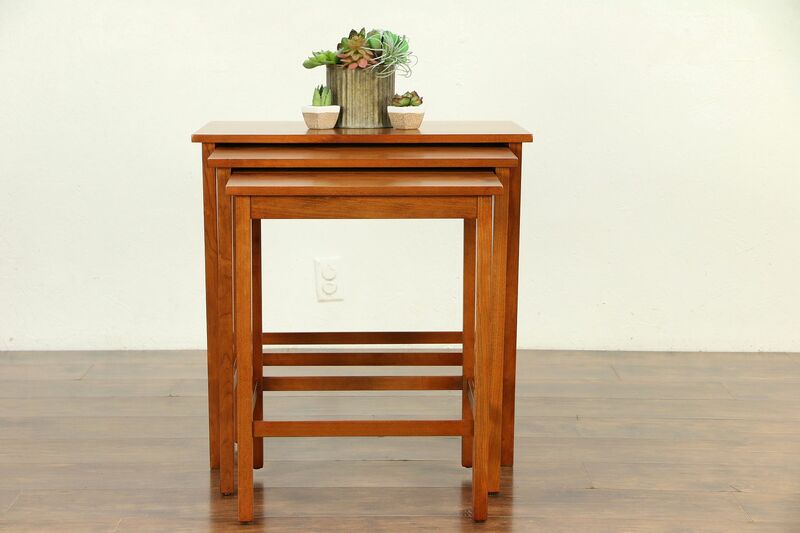 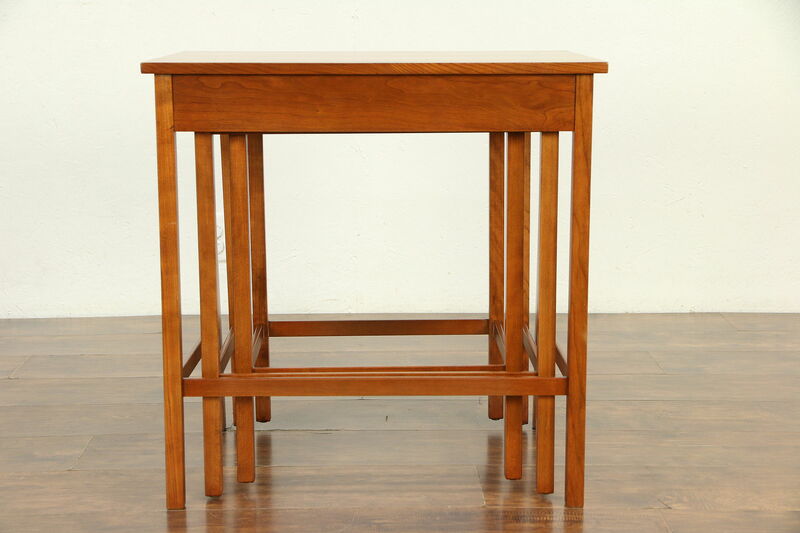 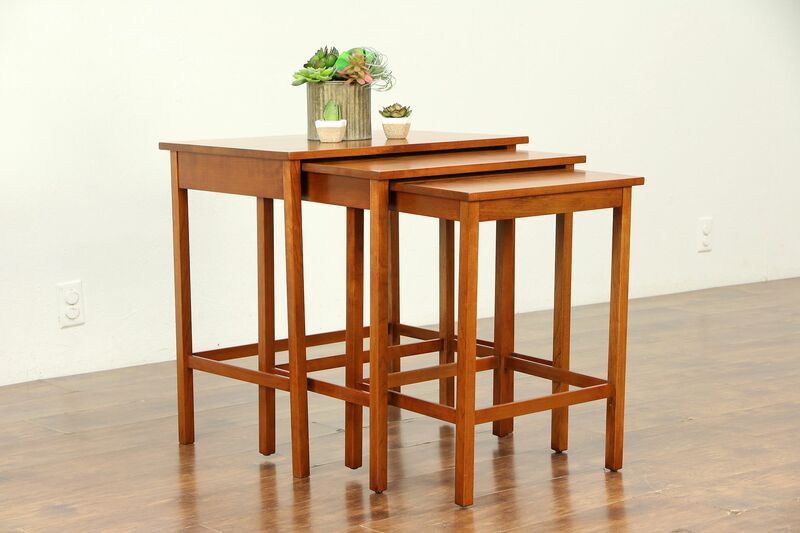 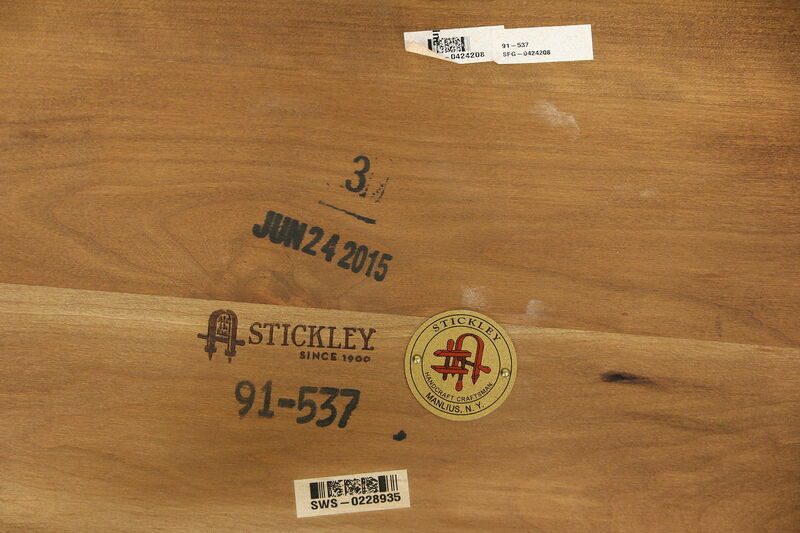 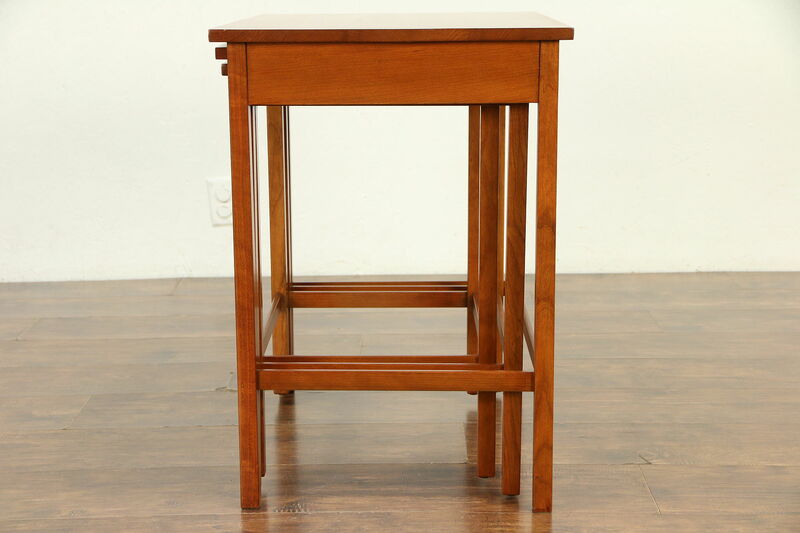 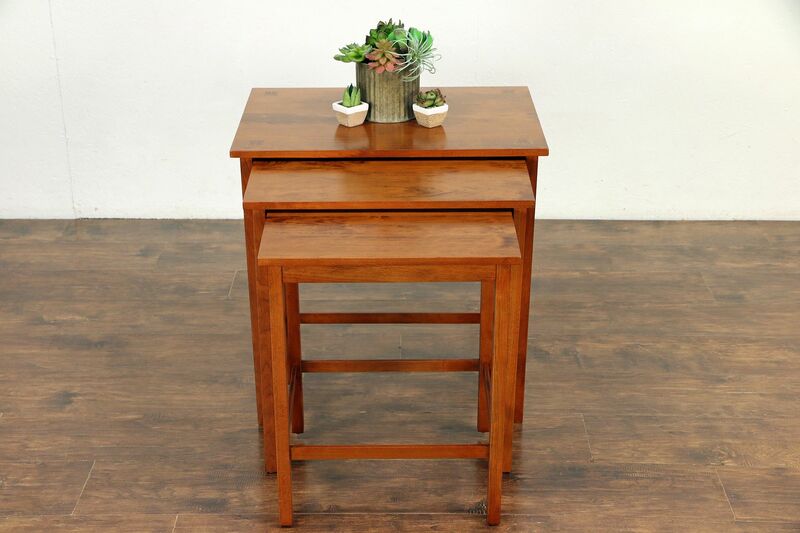 A set of three solid cherry nesting snack tables in the Craftsman manner is signed by premier maker, "Stickley of Manlius, NY, 2015." 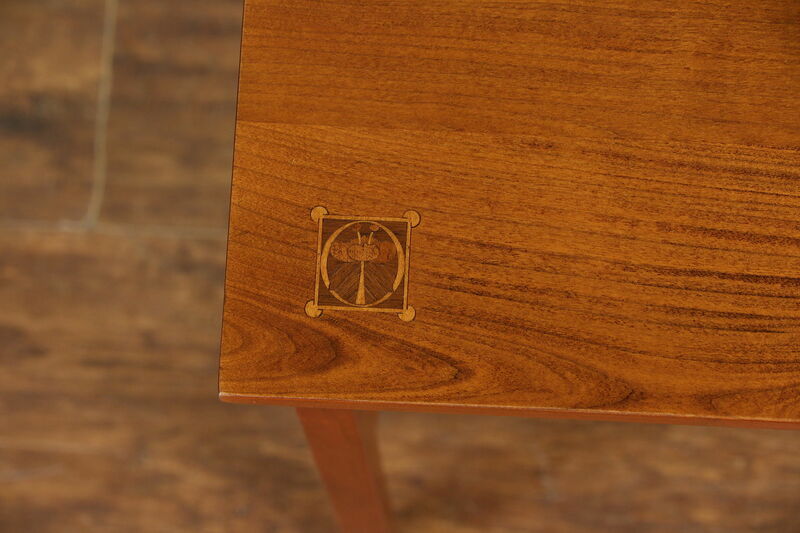 The largest table has intricate inlaid marquetry medallions in the corners. 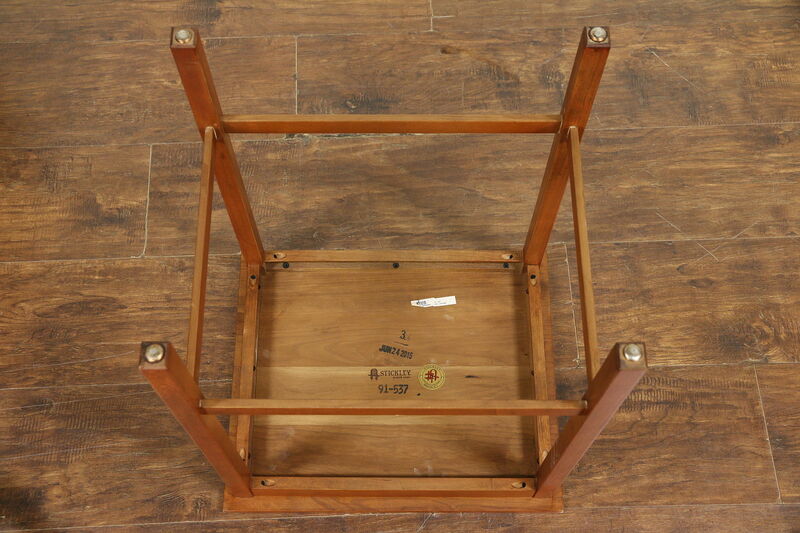 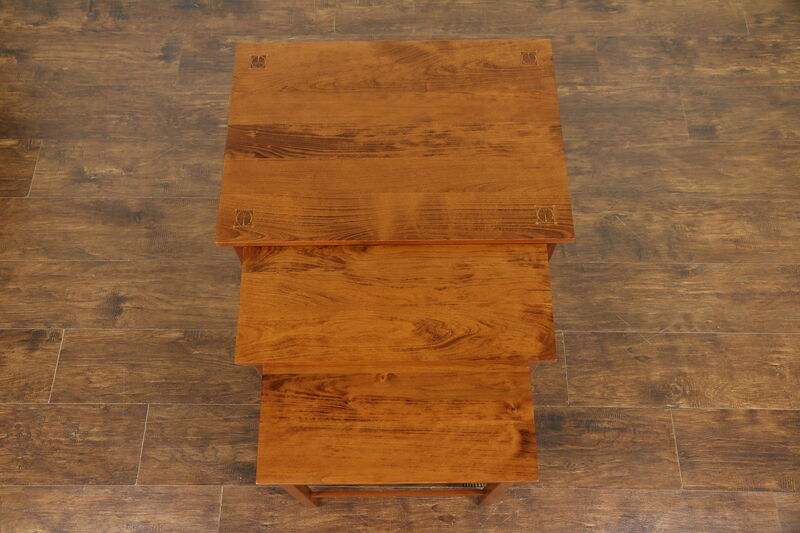 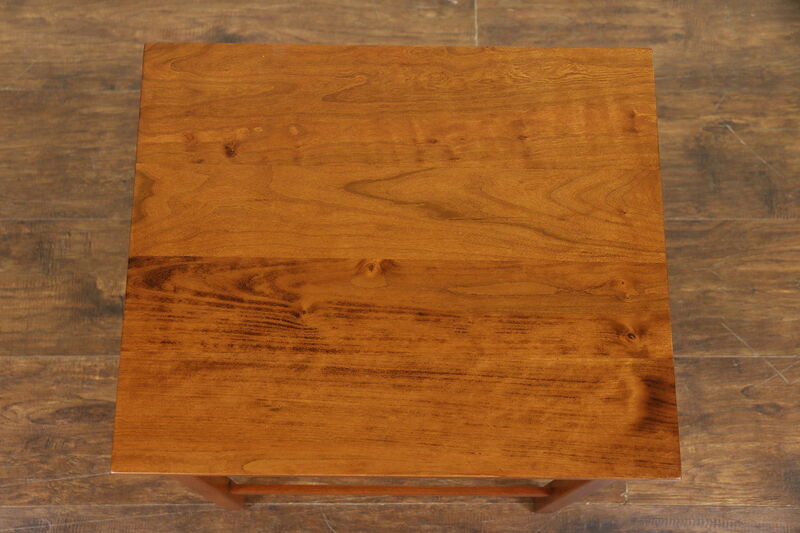 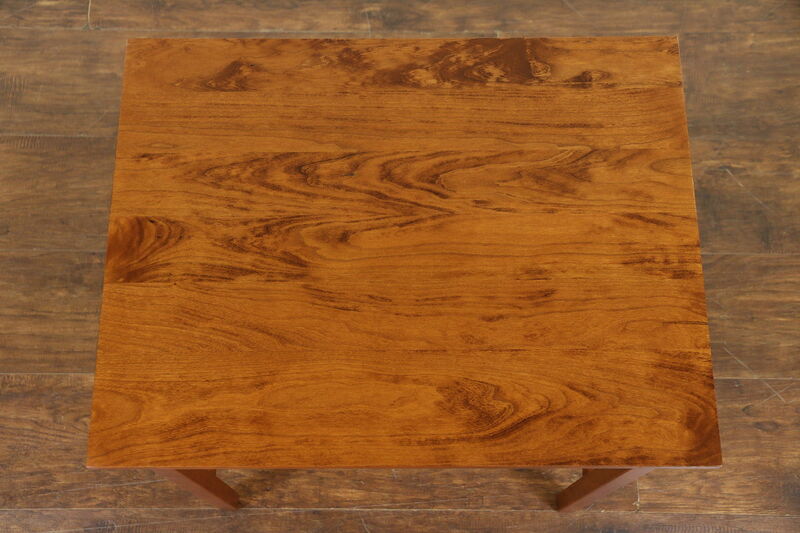 The restored finish is in excellent condition on this American made furniture. 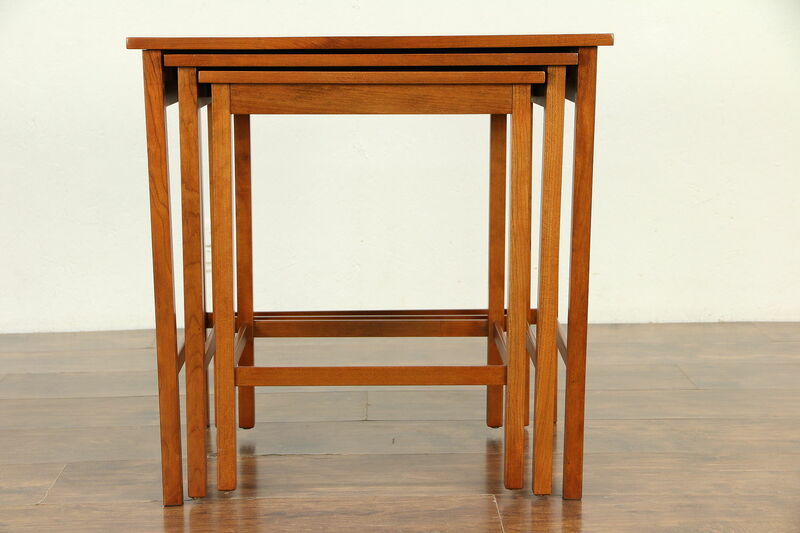 The largest table measures 25" wide, 18" deep and 25" tall, the smallest is 18" wide, 15" deep and 23" high.